The UX’s sleek exterior reflects its dynamic agility and is complemented by the block-shape mesh pattern of the new spindle grille. Aero stabilizing wheel arch moldings and rear combination lamps significantly reduce wind resistance for improved control and performance. Ultra-compact LED headlamps work in tandem with the L-shaped daytime running lights and vertical illumination lines for superior visibility and a striking look. The air conditioning vent knobs are illuminated with wirelessly powered LED lights for ease of use and a futuristic finish. A vibrant 7-inch multi-information screen offers convenient access to numerous vehicle features such as the audio and air conditioning systems. Select performance to match your driving style with up to five drive modes: Normal, Eco, and Sport. 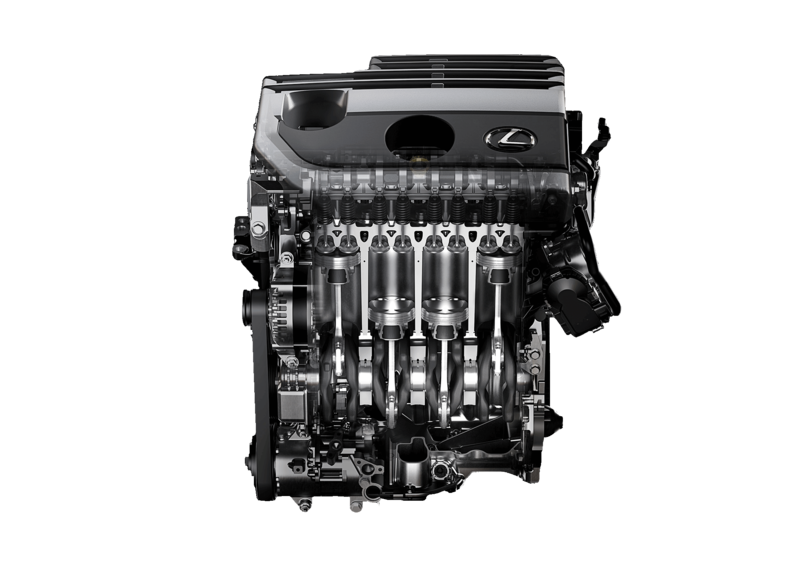 A 2.0-liter, 4-cylinder engine with a new Direct-Shift continuously variable transmission realizes both excellent fuel economy and exhilarating driving performance. Spoke edges and vortices on the wheel enable increased air flow and a high level of aerodynamic performance for increased braking stability. Be the first to get the latest updates and promotions on the UX 200.